I’ve almost never written about my actual cravings which was the initial inspiration for the name of this blog. I suppose it’s a good thing because for the most part if I’m craving something I go out and get it shortly after. I try not to deny what the stomach wants especially since you only get so many meals in a lifetime; why deprive yourself right? 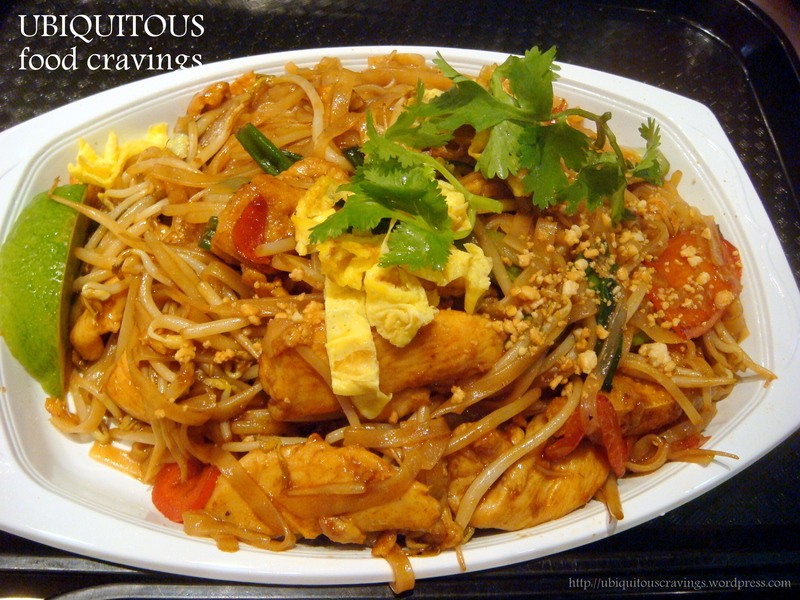 Well I’ve had a serious craving lately for something similar to the photo below. 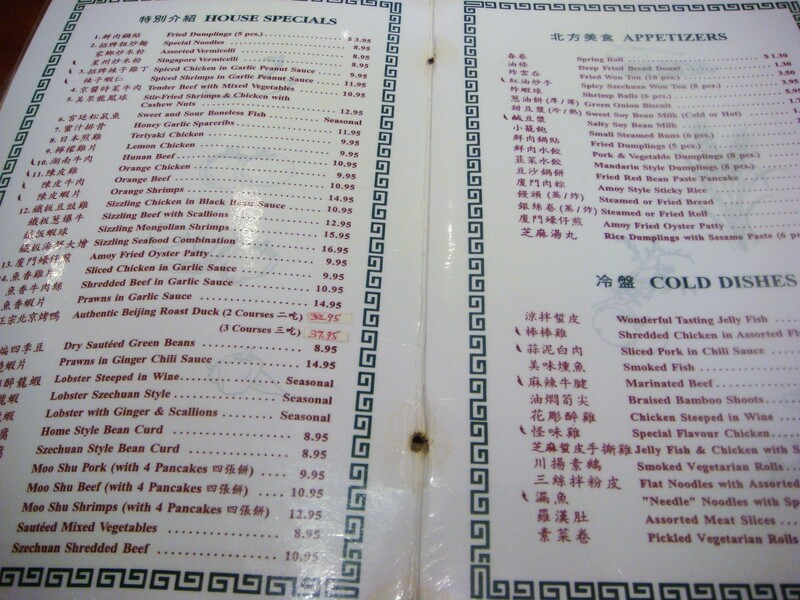 I’m really in the mood for crispy chicken tossed in a spicy sauce, perhaps a General Tso’s recipe. The spicer the better too as I’ve been really loving everything extra spicy these days. 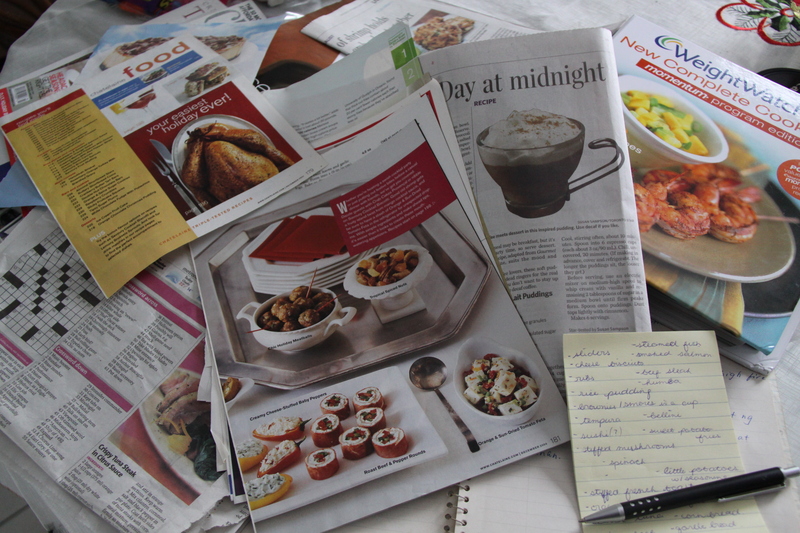 If you have a recipe that you think I’d enjoy, please leave a link and I’ll definitely have a look and add it to my recipe list. I have yet to actually look and find a recipe I’d enjoy. 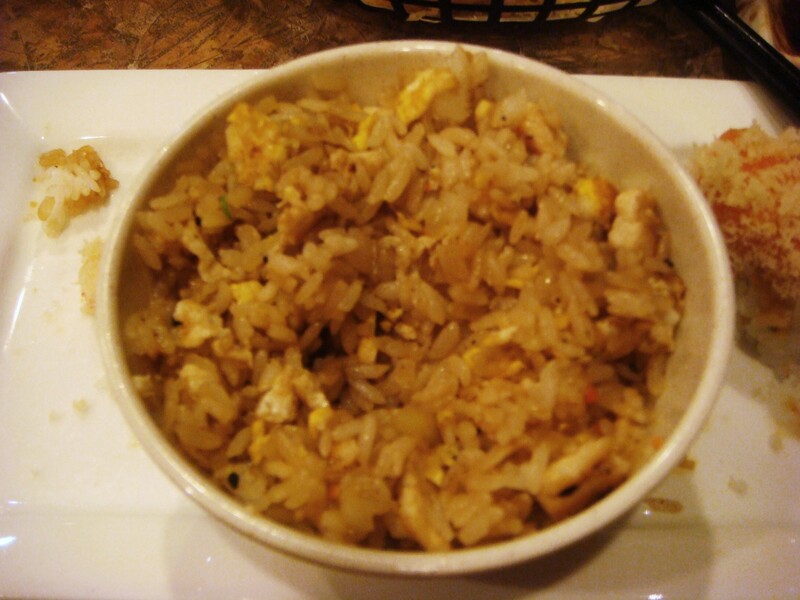 I have a deep love for asian food and everything that falls under that umbrella. My family and I are always on the search for good places to eat in Toronto and the York Region. I believe my mother came across this restaurant either by review or by word of mouth. We went primarily for their Peking duck because it can sometimes be difficult to find good, affordable Peking duck in our area. 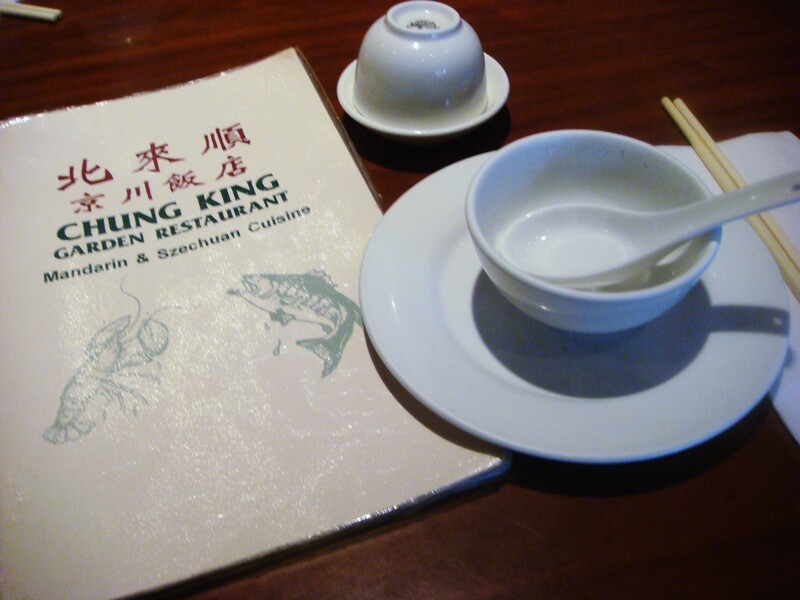 We have gone to Chung King numerous times in the past and although we don’t love everything on their menu, we certainly have favs. We’ve passed our on love for their food unto others and now I shall do the same for you. 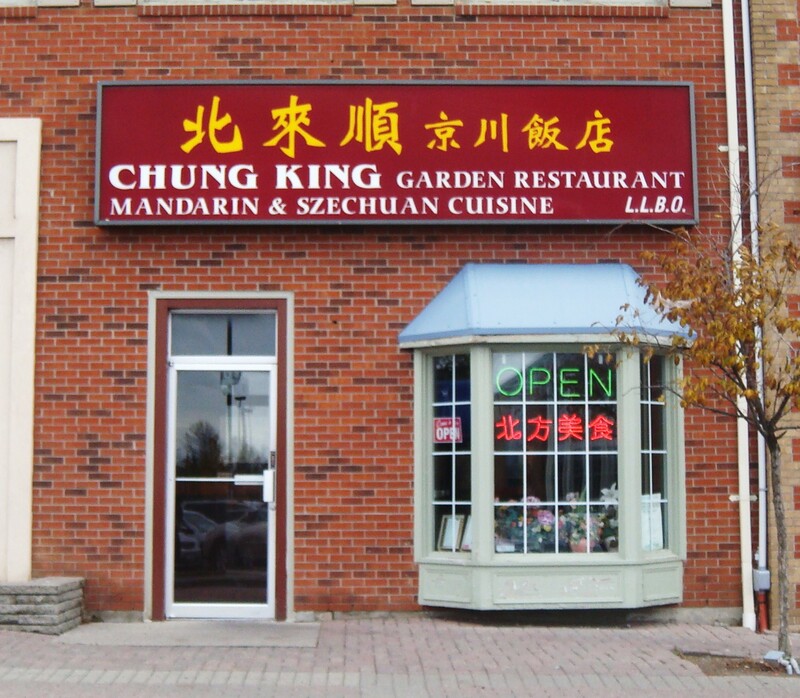 Chung King is located at the back of the famous Pacific Mall located at Steeles Ave. & Kennedy Rd. 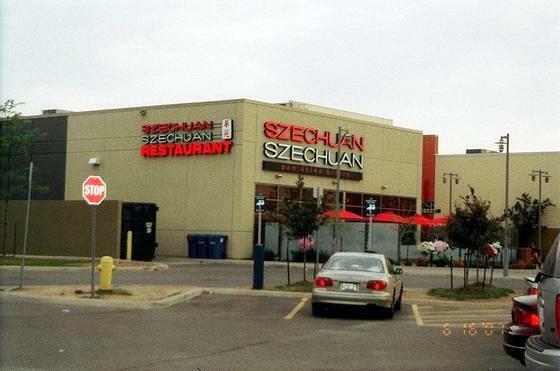 It is one of the many restaurants located in that area. We often go during lunch and thus have never had a problem getting a place to sit or being surrounded by tons of other people. 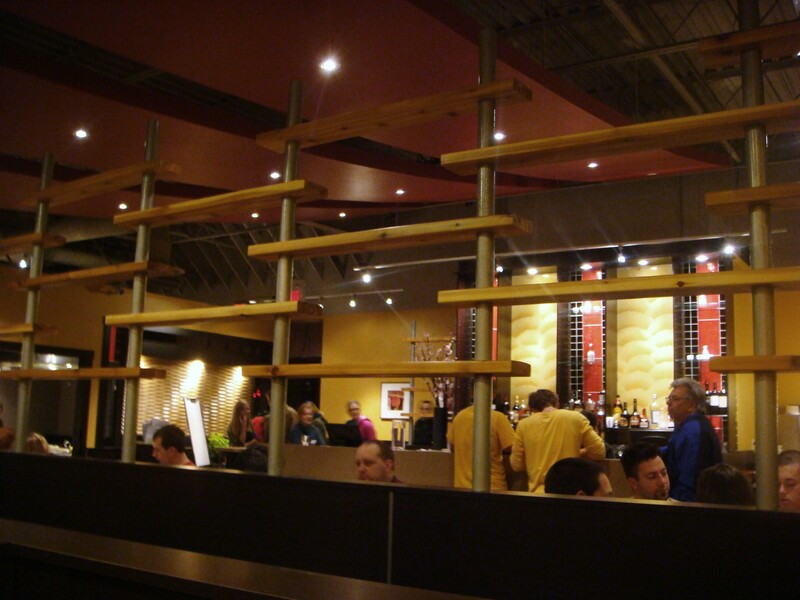 You’re greeted promptly and often have a choice of where to sit in the restaurant. 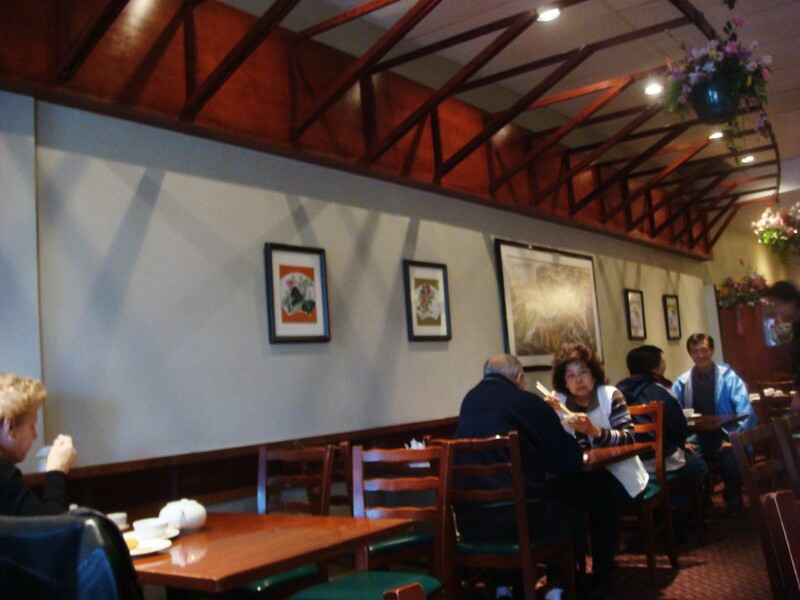 It’s fairly small with hardwood decor and other than the unsightly fake flowers that adore the front window, beautifully decorated with paintings, traditional asian vases and urns. The place appears very clean. 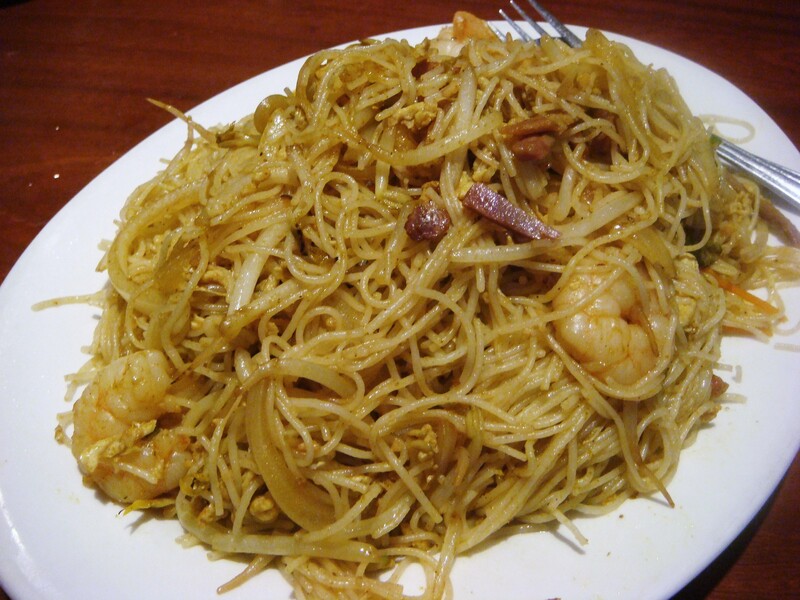 First up was Singapore Noodles (8.95). My mother is a big fan of Singapore noodles as is on a constant search for Singapore noodle sauce in a jar (anyone know of a brand?) 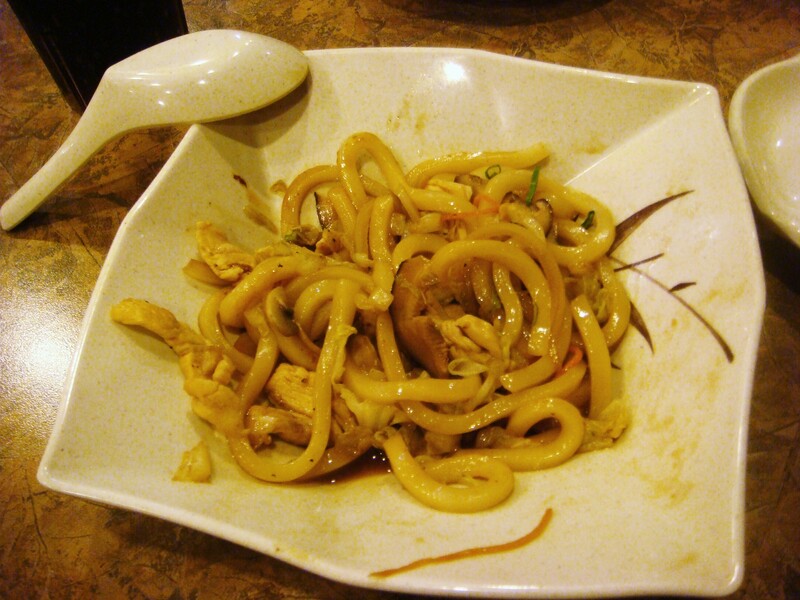 Compared to some of the other noodle offerings, this one is a pretty safe bet. Nothing too spectacular, better than most I’ve had so no complaints. My family eats it more as a starchy filler since we often don’t get rice. 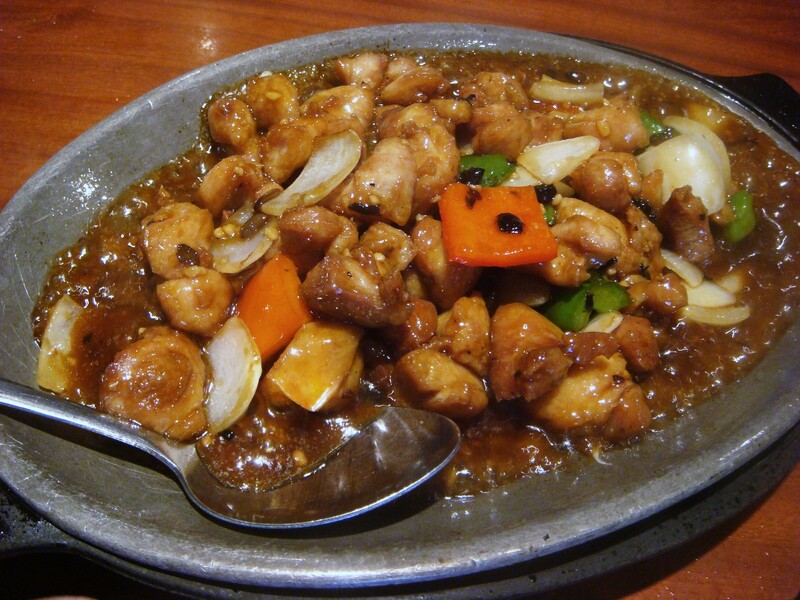 Next up was Sizzling Chicken in Black Bean Sauce (10.95). My father is a big fan of chicken so we’re always trying numerous chicken dishes for the best one. I’ve think we’ve tried a few on their menu but tried this one to change things up. It came on a super hot plate, sizzling just as the name had promised. The sauce reminded me of the consistency of sweet and sour but not the taste of course. It had many onions (a plus for me) bell peppers, and tons of chicken. Overall fairly tasty although I think we’ll continue exploring for more adventurous chicken options. 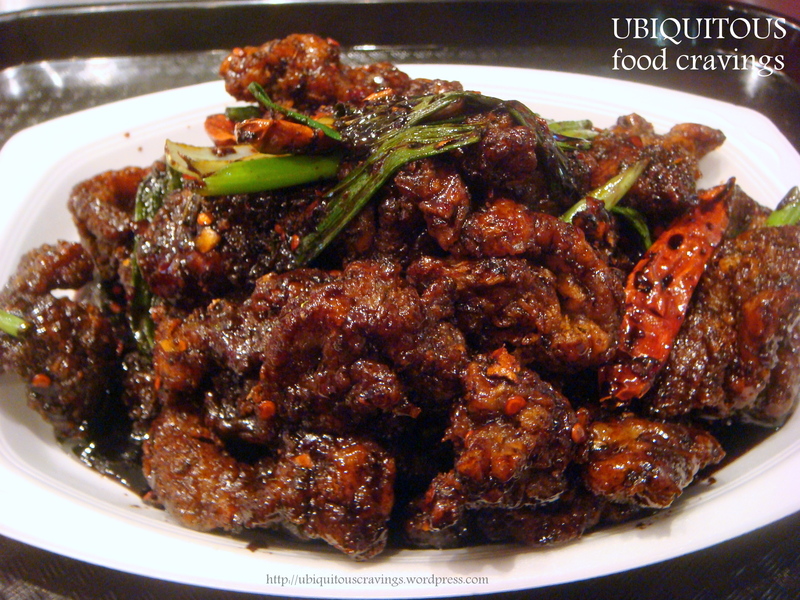 Now comes my most favourite dish, the reason why I come to this restaurant in the first place, Sichuan Crispy Beef (10.95). I don’t know how to emphasis my love for this dish. My family would happily come to this restaurant to eat this alone. When my aunt visited, she ate some and wanted to go back every day if she could. She even wanted us to ship it over to her in Germany. 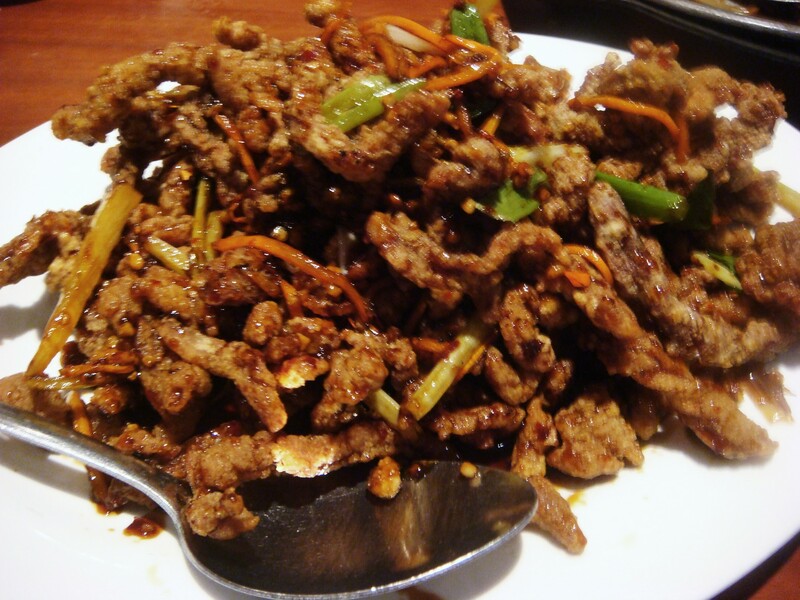 I make a special request that anytime my family come to visit me that they MUST bring me a take out of the crispy beef and as stated in my ‘About‘ page, it would definitely be included in my last meal. I don’t know if there’s anything truly magical about this dish. It’s certainly hard to find elsewhere. When its brought to you its super crispy without the least bit of oiliness. The beef inside is super tender. There isn’t too much sauce and it doesn’t overpower the beef or make its coating soggy. 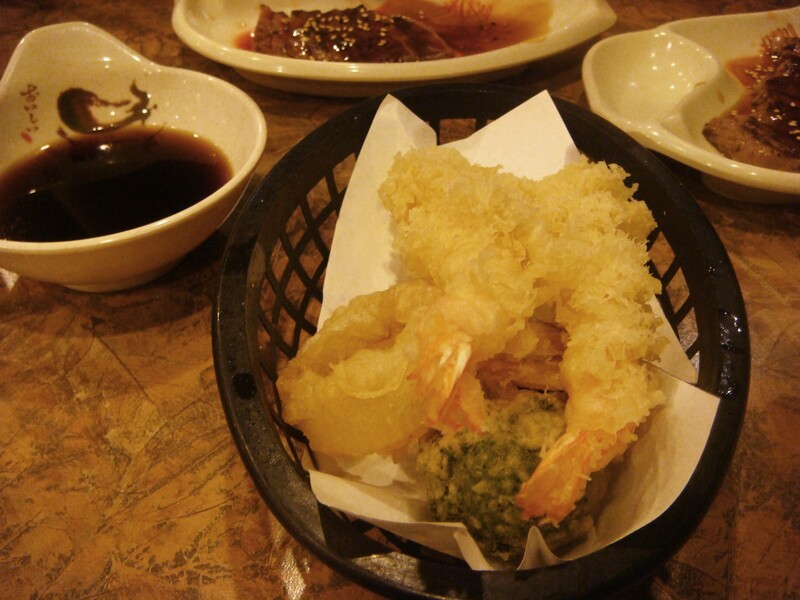 It’s spicy without too much kick which comes from the red chili flakes and has tang to it. There are also slivers of carrots and green onions for added flavour, freshness and texture. 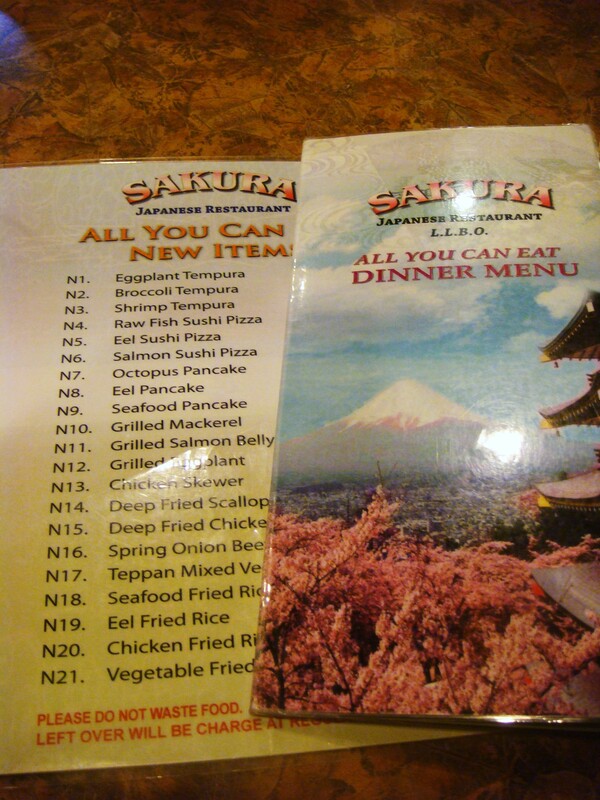 In other words, its heaven to me. I strongly suggest that others give it a try. 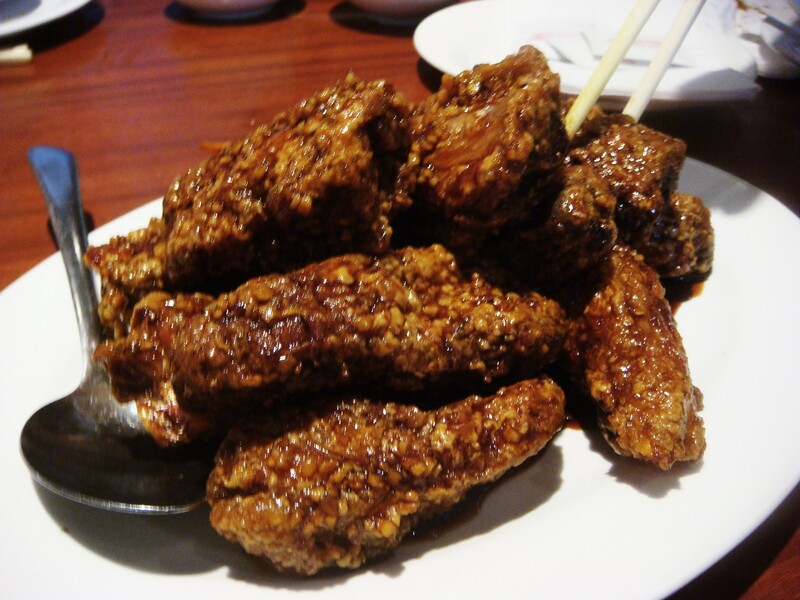 Last up was the Honey Garlic Spareribs (11.95). We had ordered this maybe at most 5 mins after our main order, just as an afterthought because we weren’t sure if we’d be filled enough with what we had ordered. 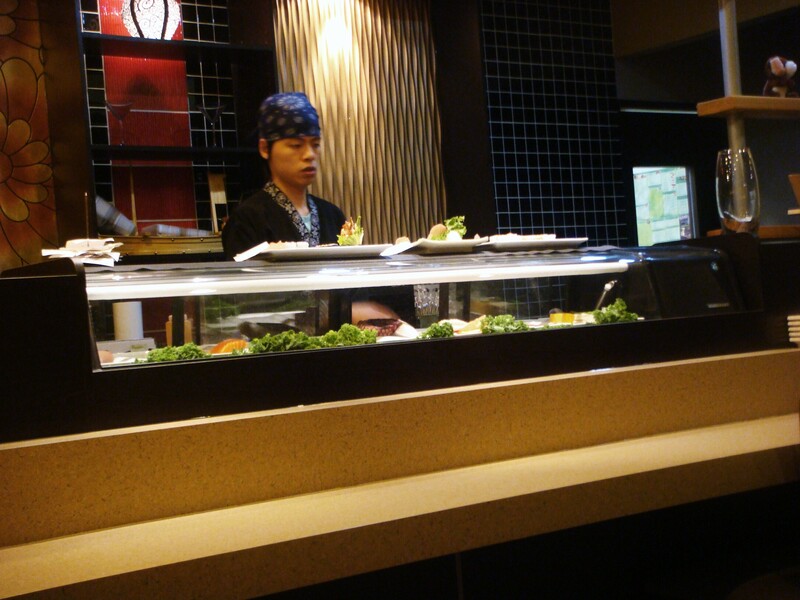 We were afterall starving when we had come in. 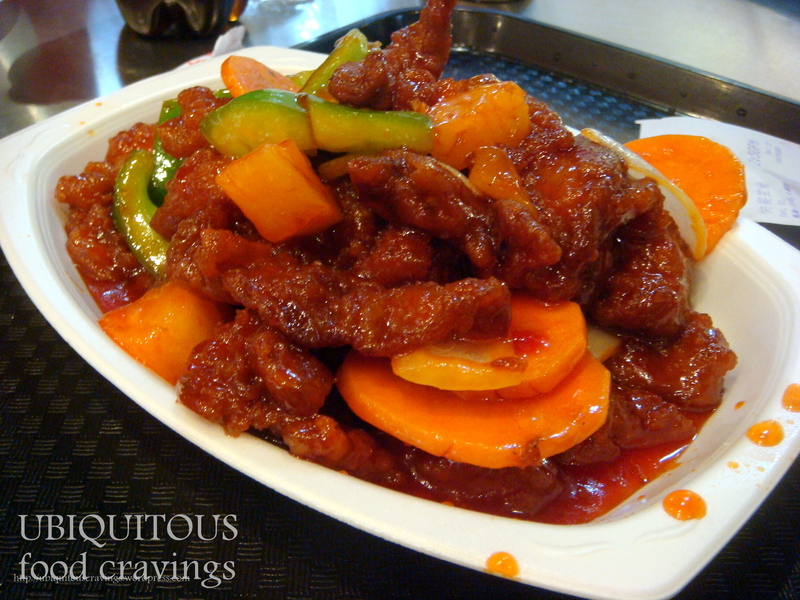 Wanting to try something completely new we picked the honey garlic spareribs. I don’t really know what we had expected. 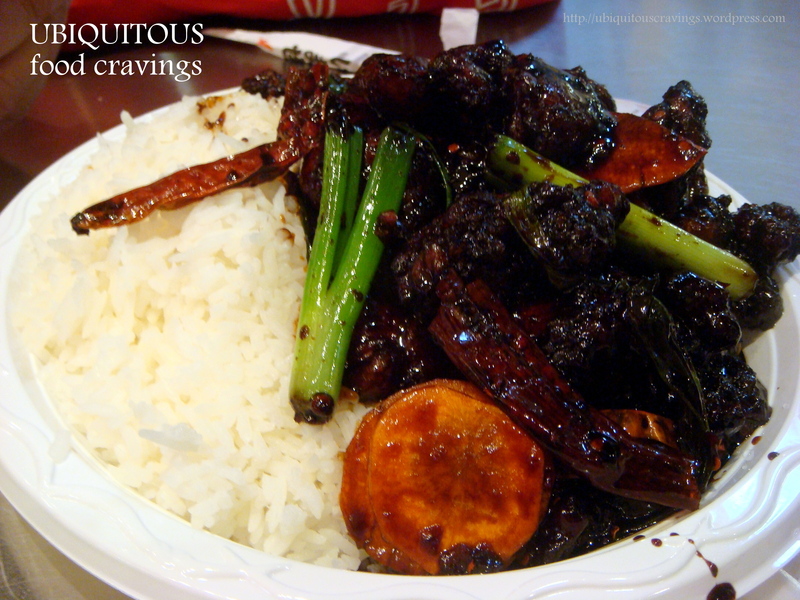 I guess something like what your normally get if you order spareribs in black bean sauce only substitute the sauce for honey garlic. We were waiting in the restaurant for what felt like forever, something not typical of their service but because we didn’t have other plans, we were willing to wait it out. 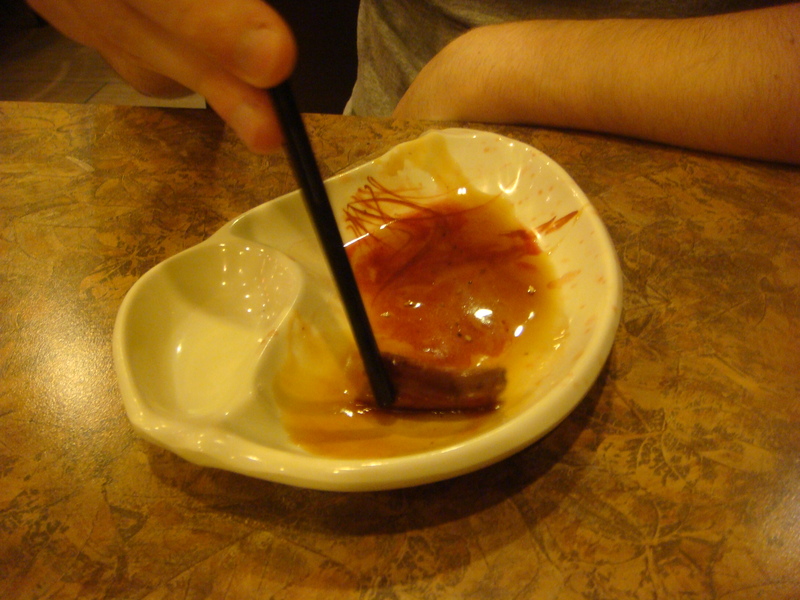 At some point we were trying to figure it out why it would take so long to cover little spareribs with a sauce. We decided to allow ourselves to digest, drink more tea and talk about the tragedies that had currently hit our homeland, the Philippines. Finally, after a very long wait we were present with napkins and wetnaps and these medium sized ribs that were smothered in a very garlicy honey sauce. The ribs were probably boiled and then fried before placing the sauce all over it. We quickly understood why you needed the napkins. They were pretty delicious and I could definitely appreciate the sauce. It was something new and I’d certainly like another helping of it the next time I go. Like I mentioned earlier, the Peking duck there is quite tasty. 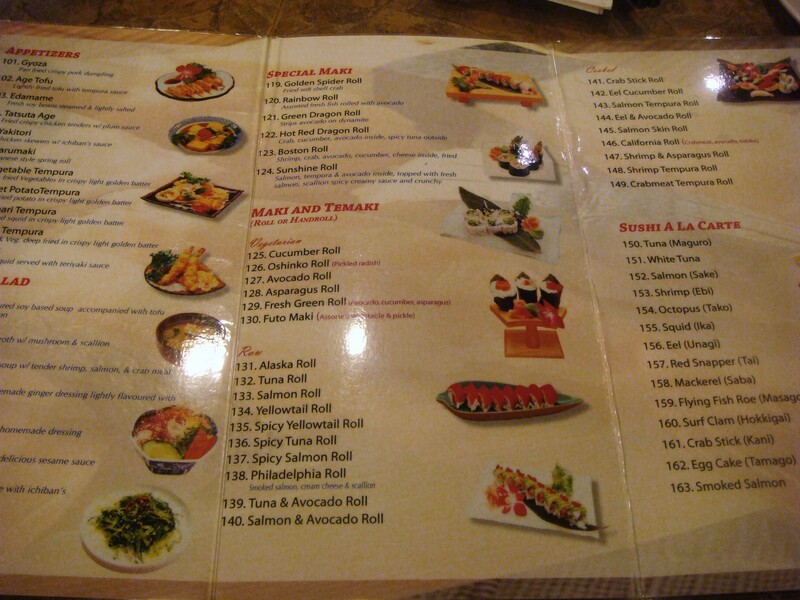 We normally order only two courses which comes up to 32.95. We tend to reserve that for special occasions. 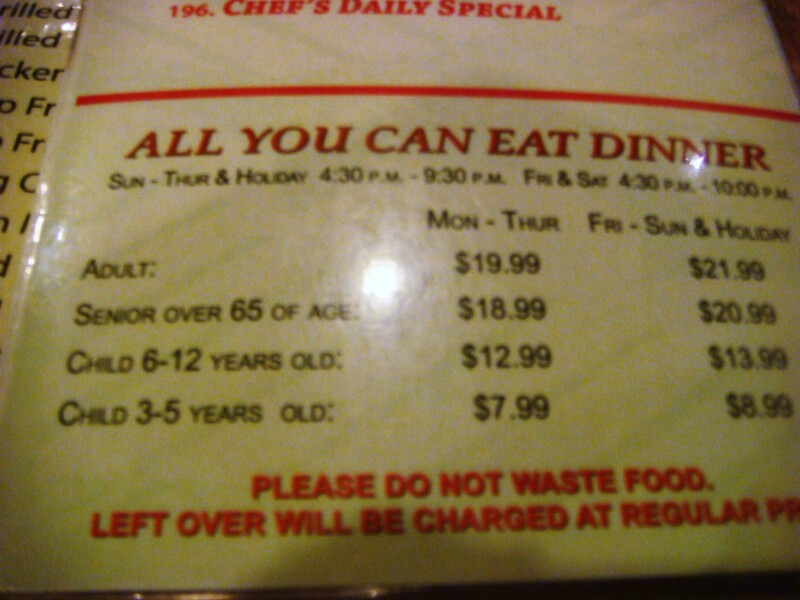 They do take-out if you’re not in the mood to sit in. 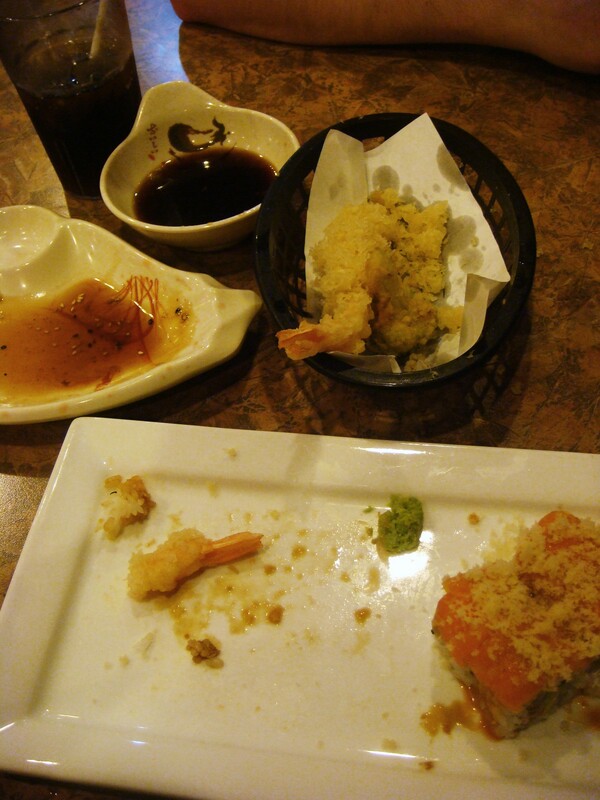 We were satisfied with our meal as usual and left very happy. I recommend that you try it for yourself. After we had to make a trip to Ikea to pick up a missing part for a shelving unit that my parents were assembling. 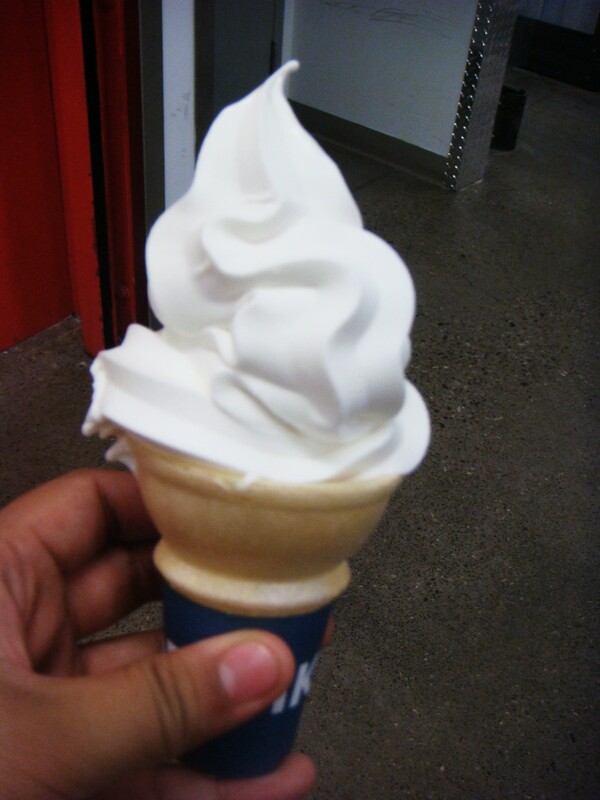 This was a perfect opportunity for some dessert, Ikea’s $1 frozen yogurt. Whether it’s actually yogurt is debateable but its tasty considering its only a dollar. It doesn’t taste quite as synthetic as some other places. 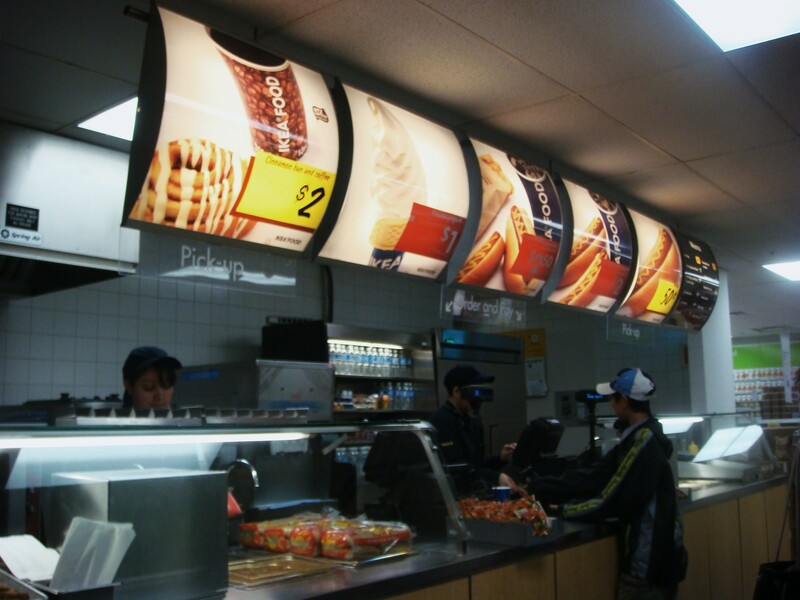 The also have other things on their menu for cheap such as coffee and hot dogs but we tend to just buy the frozen yogurt. 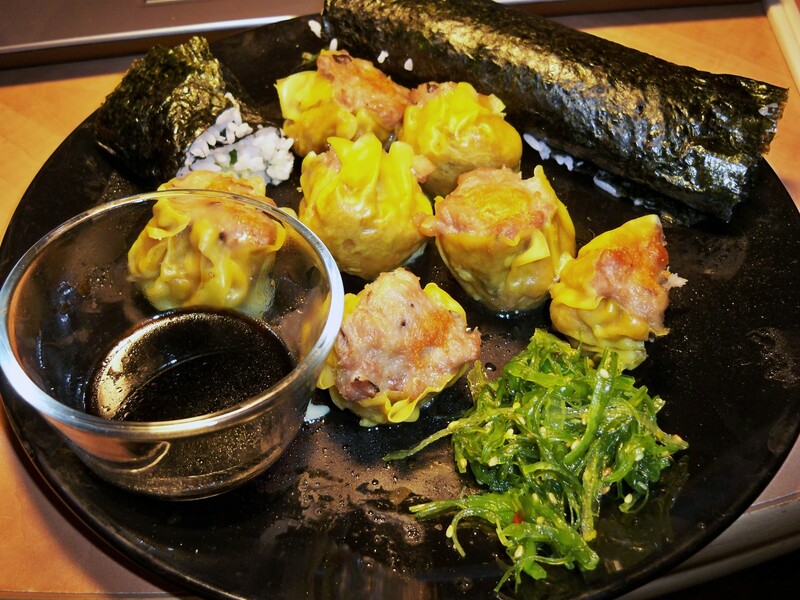 Another dim sum night with seaweed salad and a homemade sushi roll. Definitely a yummy combination. 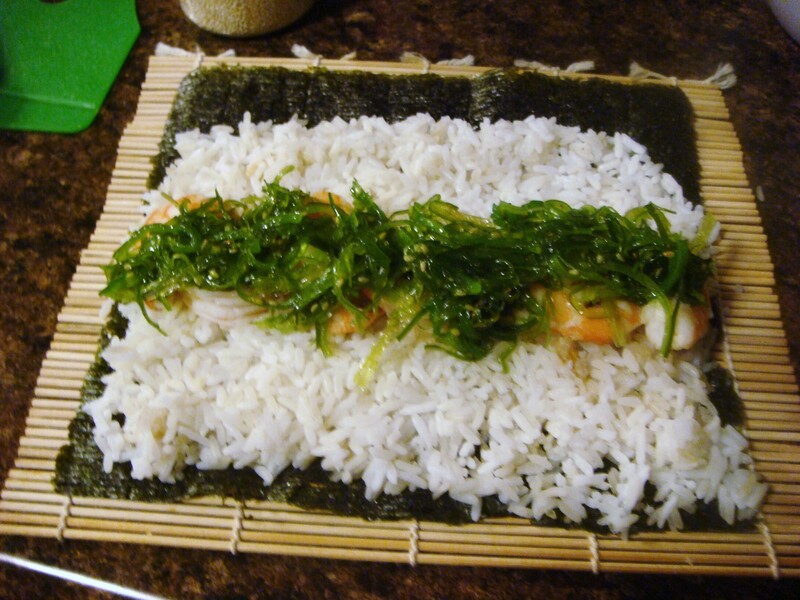 The roll was filled with shrimp and seaweed salad. The rice wasn’t the best in the way it was seasoned so it didn’t hold up as much as one would want but still yummy. Montreal Smoked Meat is one of my favourite meats out there. My family has often gone out of our way to make a trip to Montreal to visit the famous Schwartz deli for a taste. For those who aren’t able to make the trip and who don’t live in the area, you can purchase a frozen version from Costco. The meat is packaged in portions and can be microwaved or boiled in the packaging. It’s convenient and pretty delicious. 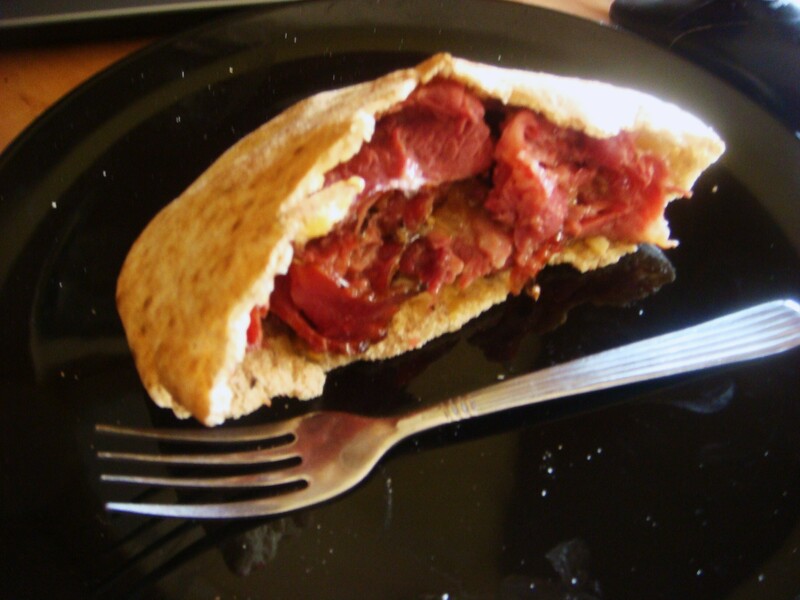 I decided to heat some up and put it into a pita. Instead of the usual mustard that some people opt for I used a wasabi ginger concoction that I bought at a specialty shop. I had first tasted the sauce at a shopping mall where a company had a booth set up and free samples. I tasted it and love it but for one reason or another didn’t purchase it. Luckily, a week later my family headed up to Niagara-on-the-lake where a specialty food store there was selling it. After a nice sales lady located the jar for me, she asked me what I was planning to use it for. I told her I had no idea but that it tasted too good not to buy and now I have a use for it. I was a little over zealous and added a little more than I was able to handle. 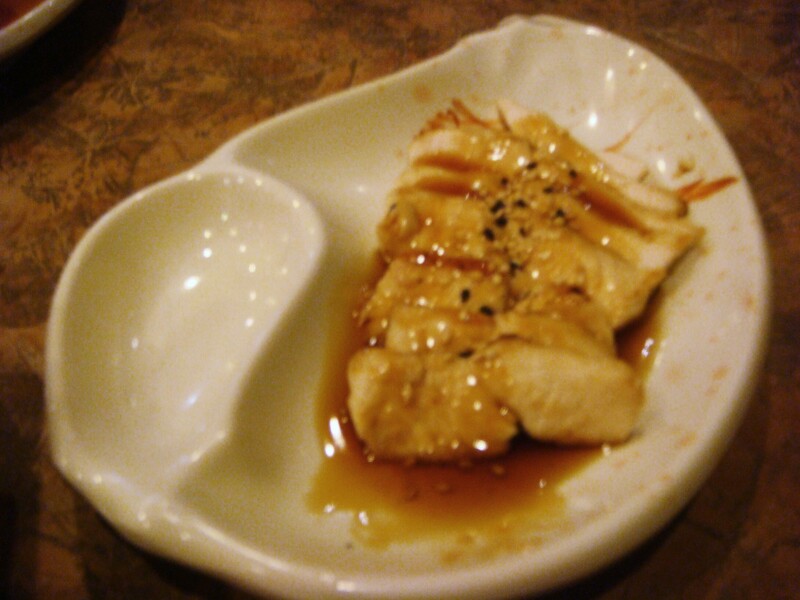 It ended up being pretty spicy but the beauty of wasabi is that its a spice that doesn’t linger. It punches you hard and then disappears. A very yummy sandwich. 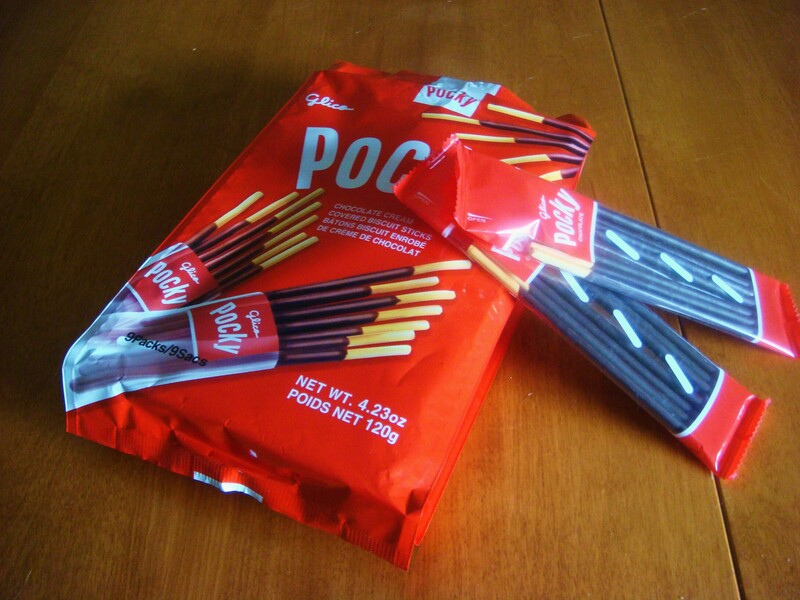 Pocky often goes on sale on the many asian supermarkets near my home in Toronto. My mother often buys them as they make for good snacks. I’m most fond of the strawberry flavour but I won’t oppose to the other kinds. We usually stock up on them and bring them as a side snack in the event that we’re out and a little hungry. I’d take these over chips any day as my go-to snack. I’m a big fan of dim sum and when most people are out having brunch eating eggs, bacon and toast, my family goes out to have dim sum. There’s many wonderful places to go get some in Toronto. Unfortunately I haven’t found that here in Kingston :( so I’m forced to buy the frozen kind and transport it back to Kingston. 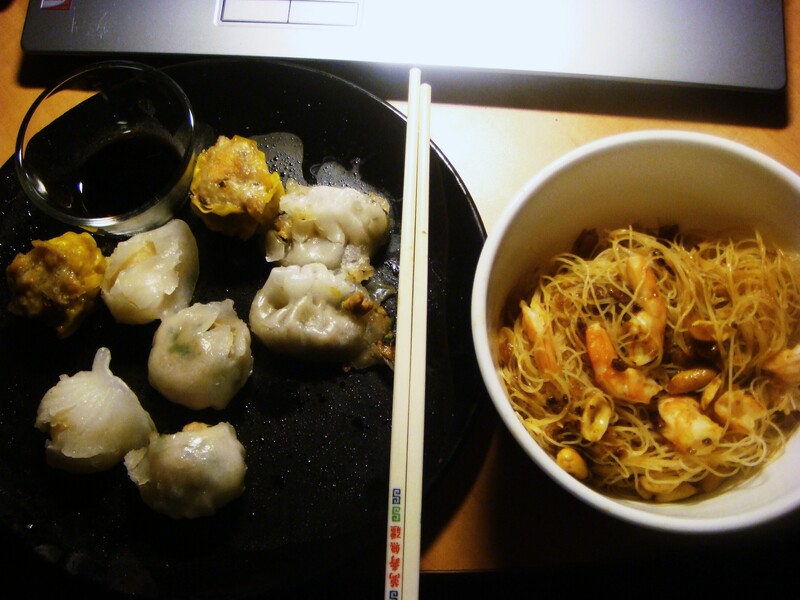 I buy my dim sum at a store called Oriental in Scarborough as they have a decent variety and reasonably priced. 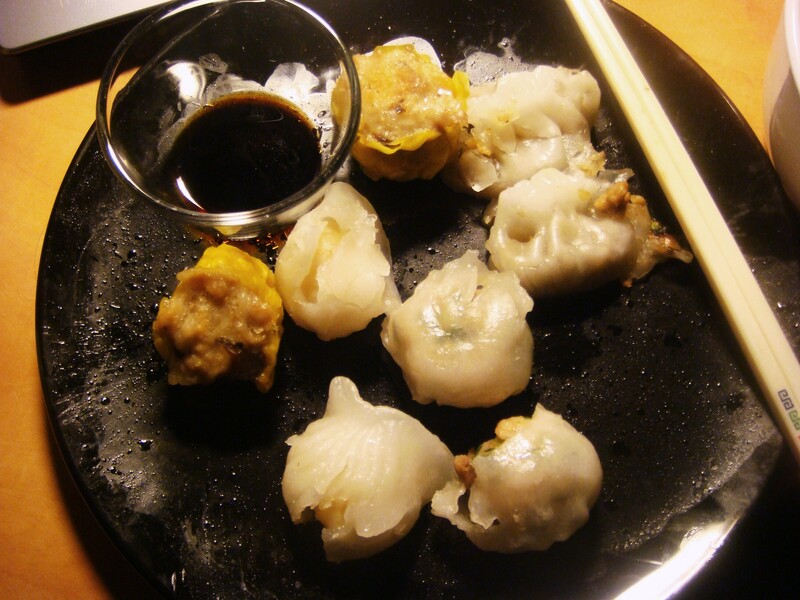 It’s sometimes difficult to find frozen dim sum of decent quality without the MSG. I normally only get the Har Gau and Shao mai but this time I got two other types. It was quite the task trying to steam it as I didn’t have a steamer so I had to improvise. Did it work out well? Ehhh, it did the trick but I won’t be doing it again. Along side the dim sum, I cooked up a bowl of vermicelli with some pad thai sauce that I had laying around. 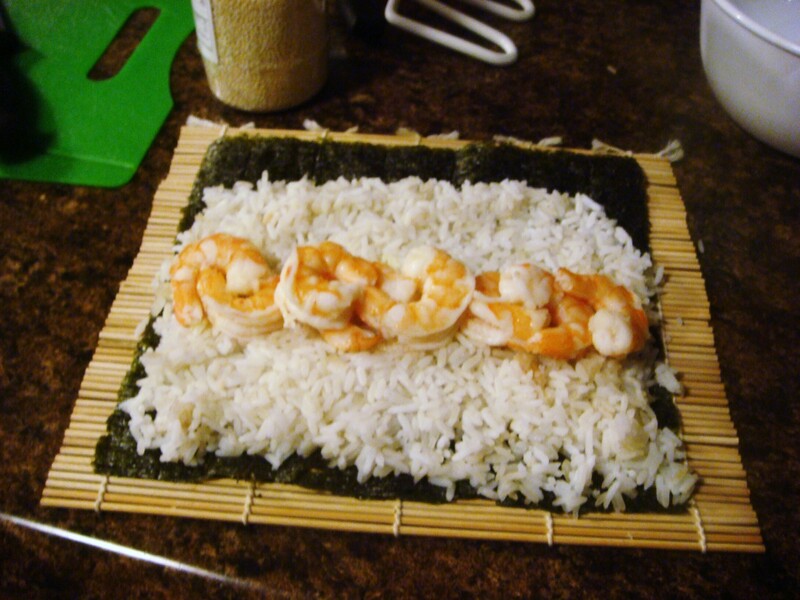 I cooked with some shrimp, onions and crushed peanuts. From what I remember it tasted pretty good. 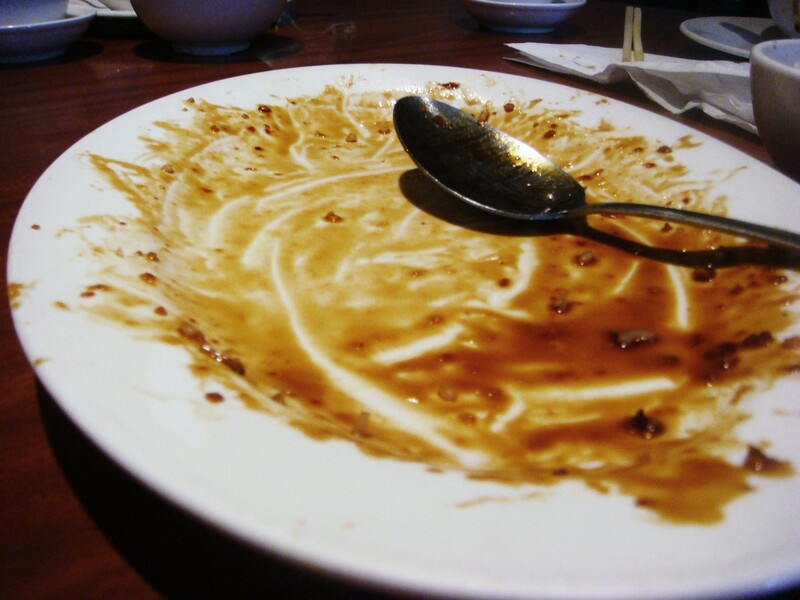 I don’t think I finished it all at once because it is a lot of food but very statisfying for my asian craving at the time.